Now in its fourth year running, Marilyn York’s role in directing the Fairfax County Dance Coalition’s (FCDC) annual Gala, A Celebration of Dance, is becoming a traditional success. Her experience managing Dancin’ Unlimited’s Jazz & Tap Dance Festival as a model works effectively for enabling several companies to collaborate on artistically shared dance productions. The FCDC comes together for the 2013 Gala on Saturday, October 12, at 7:30 p.m. at the Ernst Cultural Center (Northern Virginia Community College – Annandale Campus). The FCDC members select their best pieces to pack the event with talent and inspiration and star a broad variety of Fairfax professional and pre-professional dance. Dancin’ Unlimited Jazz Dance Company (DUJDC) proudly participates in this fine dance community “company” showing that Fairfax County’s Got Dance! The 2013 FCDC Gala features 12 companies and a mix of ballet, tap, jazz, modern, musical theatre and international dance styles. Participating companies include: BalletNova, Center Stage Dance Company, Dancin’ Unlimited Jazz Dance Company, Encore Theatrical Arts Project, Gin Dance Company, Lasya Dance Company, Metropolitan Youth Ballet, Nrityanjali Dance Company, The Ballet Arts Ensemble of Fairfax, The Fairfax Ballet, The Kintz-Mejia Academy of Ballet and the Virginia Ballet Company. DUJDC hopes that our Friends of Jazz Dance attend this annual event, not only to see DUJDC, but also to appreciate that the Northern Virginia dance community is getting stronger, as a voice for dance and in demonstrating dance excellence in the Mid-Atlantic region. Marilyn, along with Alan Green and Lea Edwards have been involved with establishing FCDC from the beginning in 2008, as our DUJDC contribution to the dance arts. Marilyn is the immediate FCDC past president, having served in that role for two years. Gala tickets are $22 in advance and $25 at the door. The Ernst Cultural Center (NVCC Annandale Campus) is located at 8333 Little River Turnpike in Annandale, VA; convenient to Beltway exit 52A. A brief reception is open to audience members following the performance in the upstairs gallery. About FCDC: “The FCDC has grown over the last few years as dance activity has grown in the County,” says FCDC President Caroline Frankil Warren. “By supporting the communication between dancers, choreographers, companies and schools, we foster partnership, which results in a stronger community presence for dance and, indeed, all the arts.” Ms. Warren also represents the performing arts on the Fairfax County’s Master Arts Plan Committee, managed by the ACFC. Sherri Shortell, FCDC Treasurer and former President continues, “Every year, the reasons FCDC produces this show become stronger because we are building the ’voice of the dance community’ as well as enhancing area performing arts for Northern Virginia audiences.” The FCDC has helped to clarify issues affecting the opportunities for dancers to build technique and perform. For example, the FCDC advocates for more dance friendly performance venues in Northern Virginia. 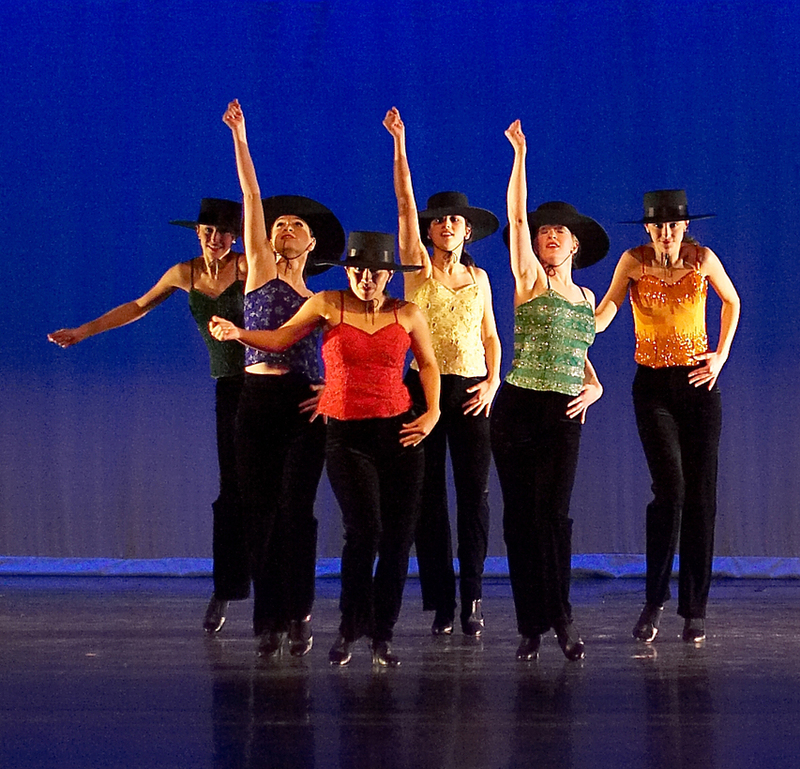 Members work together year-round to grow dance opportunities and build audience support and appreciation for dance companies and programs in Fairfax County.